Shares of Jet Airways (India) were up 9 per cent higher at Rs 277 on the BSE in early morning trade on Tuesday after Naresh Goyal, the Promoter and Chairman of Jet Airways, along with his wife, Anita Goyal stepped down from their positions in the board. Etihad Airways nominee Kevin Knight has quit the board too. With today’s gain, the stock of Jet Airways has rallied 27 per cent in past three trading days from Rs 218 on Wednesday, March 20, 2019. In comparison, the S&P BSE Sensex was down 1.5 per cent during the same period. The Jet board on Monday decided to allot 114 million shares to the lenders upon the conversion of one rupee of its outstanding Rs 8,000-odd-crore debt. The consortium of lenders, led by the State Bank of India (SBI), will now own a 50 per cent stake in the airline, while Goyal’s stake would be halved to 25.5 per cent. Abu Dhabi-based Etihad Airways would shed its shareholding to 12 per cent from earlier 24 per cent. The constitution of an Interim Management Committee at the instructions of the lenders to manage and monitor the daily operations and cashflow of the company, Jet Airways said on Monday after market hours. 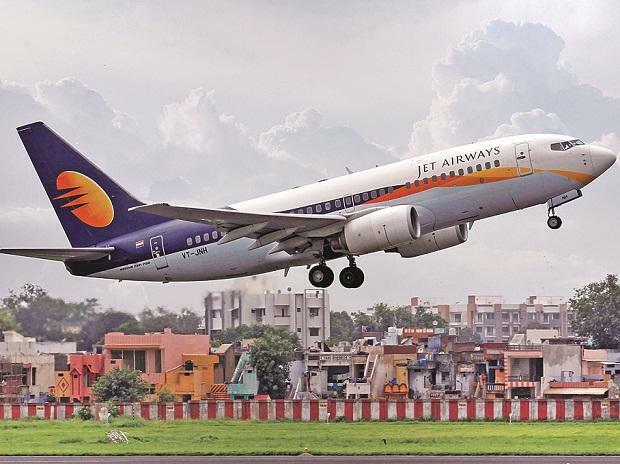 Jet said the banks will initiate a bidding process to sell their stake in the airline to a new investor and that the process is expected to be completed by end-June. “Once approved by all stakeholders, the final structure will offer more color on the eventual shareholding while airline operations will continue to be overseen by the existing professional management. While efforts are being made to rationalize costs and rejig the existing network to reduce losses, adequate capital support to execute the plan will be key for the airline’s revival,” according to analysts SBICAP Securities. At 09:34 am, Jet Airways was up 7 per cent at Rs 273 on the BSE, as compared to 0.23 per cent rise in the S&P BSE Sensex. The counter has seen huge trading volumes with a combined 19.88 million shares changed hands on the NSE and BSE so far. Meanwhile, SpiceJet (down 4 per cent at Rs 92) and InterGlobe Aviation (2.4 per cent at Rs 1,352) were down more than 2 per cent on the BSE.